Orders from 19 € have no shipping costs within Germany. ** Shipping within Europe: 4-18 business days. Shipping time for worldwide destinations see here. Standard edition with blue hardcover. 28th, revised edition 2012. 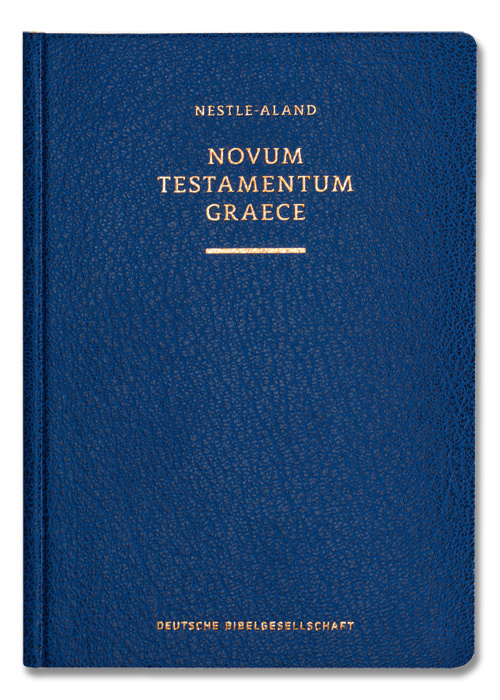 Following intensive preparatory work, the new edition of the Novum Testamentum Graece (»Nestle-Aland« or »NA28«) is now being published. Thus this standard and globally preeminent reference among Greek New Testament editions is available in a fundamentally revised and improved edition. One focus of the revision was on the critical apparatus whose structure was simplified. For instance, the combination of variants using »sed« or »et« and the distinction between consistently cited witnesses of the first and second order have now been removed. In addition, the readings of the newly discovered Papyri 117–127 are listed for the first time, opening up interesting perspectives particularly for the Acts of the Apostles. In the Catholic Epistles, this edition has been made consistent with the »Editio Critica Maior«. This led to more than 30 modifications in the main text and resulted in a critical apparatus which is newly compiled in its entirety for this section and includes a new selection of witnesses and variants. The cross-references in the margin were also systematically revised and supplemented mainly with references to early Jewish literature. Edited by the Institute for New Testament Textual Research (INTF). The INTF is a university institute in Münster (Germany). Its general task is research on the textual history of the Greek New Testament and the reconstruction of its initial text. 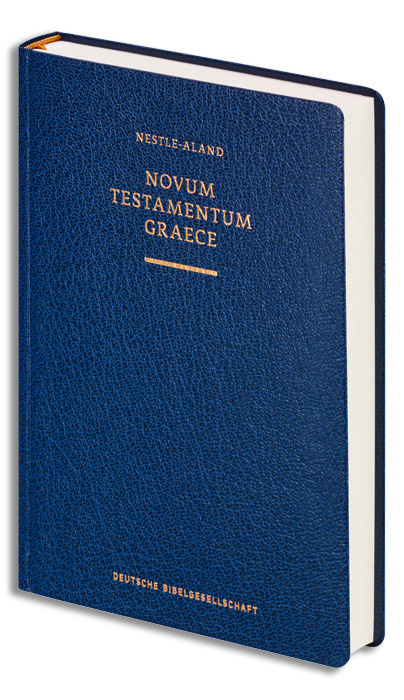 Apart from the Novum Testamentum Graece (»Nestle-Aland«) the INTF also publishes the UBS Greek New Testament and the Editio Critica Maior for the German Bible Society. Customer evaluation for "Novum Testamentum Graece (Nestle-Aland)"
We try our best to provide a competitive shipping experience for our customers. * All prices excl. shipping costs.